I have been part of the Moms of Master Books team since 2012, but before that I was a faithful party goer. This year we reviewed some great books and as always I am sharing our top 5 favorite for the year. 4) 44 Animals of the Bible - The book is obviously about 44 animals, but these are just any animals they are animals that are mentioned in the Bible. Each animals gets a single page which includes several paragraphs of text about the animal, a beautiful full-color, glossy drawing of the animal, and a Bible verse that mentions the animal. 5) Water and Weather - We absolutely loved this book, but I dropped the ball and did not get a review posted on it. It is the perfect science book for learning about water and weather and it went along great with our weather unit study we did earlier this year. Science unfolds as activities bring alive the natural curiosity of children. This new title covers not only the weather and varying climates around the world, but explores the results of weather events in the past. The great Flood was a cataclysmic event that left behind fossils, and these impressions reveal much about what happened during and after this historical event. Form a connection between this biblical history and the world experienced outside your door as natural processes like rain and wind are shown to be forces at work in the environment! 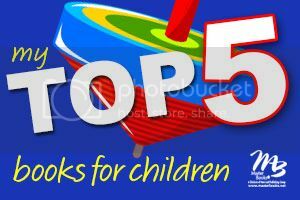 Be sure to stop by and see what the top 5 choices were from some of the other Moms of Master Books! There are some exciting resources coming out in 2015 and I cannot wait to share them with you. Resources like The Electrifying Nervous System, The Mineral book and Awesome Science: Explore Dinosaur National Monument. I hope to see you at some of the Facebook parties next year too...did you know you can win copies of the amazing books/dvds we review at the party?